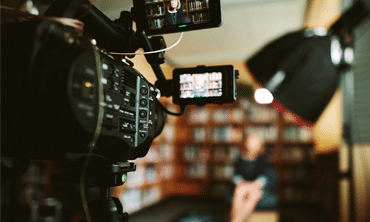 A producing a media project or a product can mean that you are pulling together a variety factors that may need to go in a particular order, or may need to happen in conjunction with other tasks. It can be incredibly difficult to keep track of all of the things that need to get done without a guide such as a production schedule. 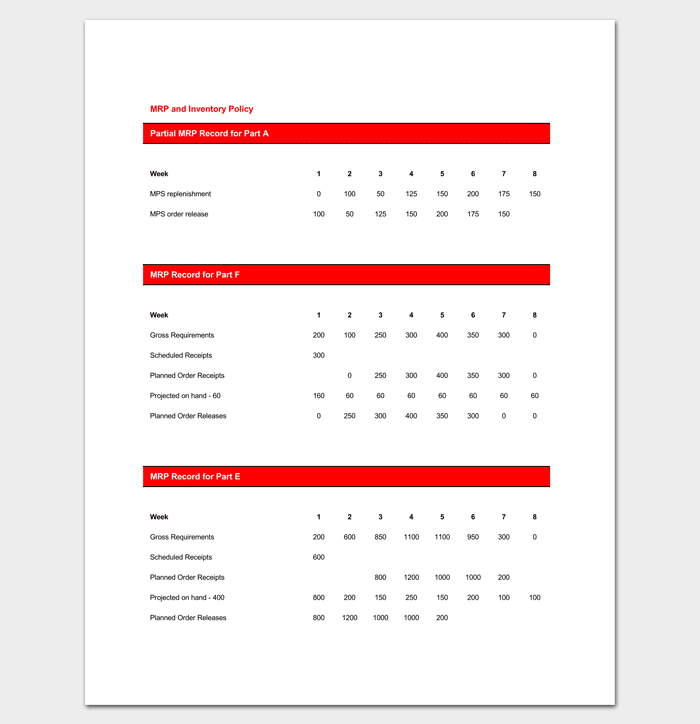 Whether you are putting together a large-scale production or a small project, a Production Schedule Template can make the job of organizing a schedule much less arduous. Why Use a Schedule Template? A master production schedule template in excel provides a format for calculating and determining the demand and production schedule. 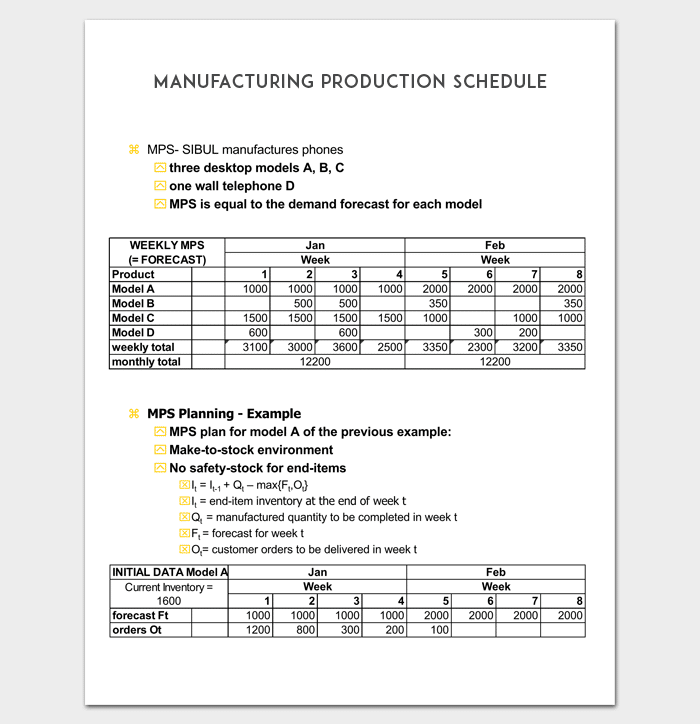 Manufacturing schedules are important for meeting demand and determining labor distribution and costs. A master production schedule ties together the components of manufacturing to form a workable production plan. Using excel to generate a master production schedule is easy with a quality template. 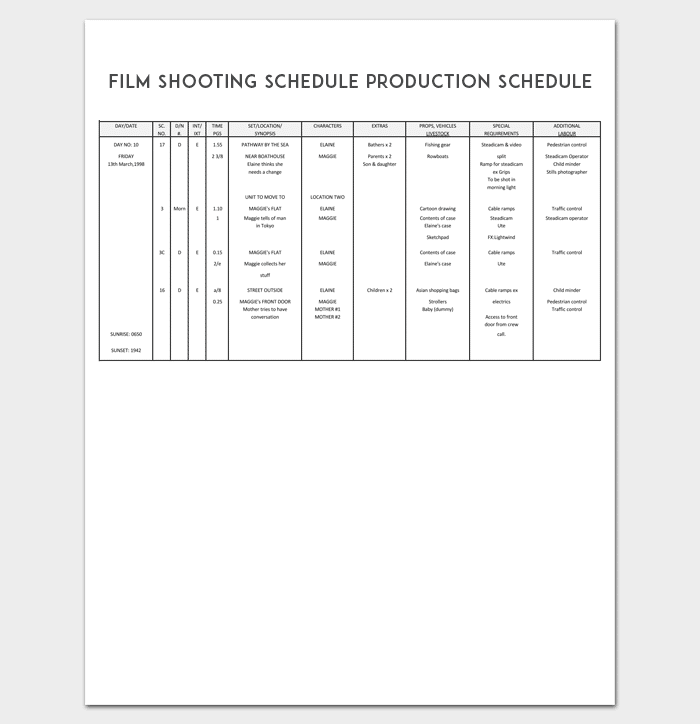 A production schedule for film shooting outlines the specific times, deadlines and order of actions to be taken during shooting. Film shooting production schedules are crucial when determining location shooting and continuity so that the time of day is not visibly different between shots. Scheduling is often tight during filming and a shooting schedule is essential in order to get the required shots. Actor and crew availability is also a key factor when developing a production schedule for shooting a film. 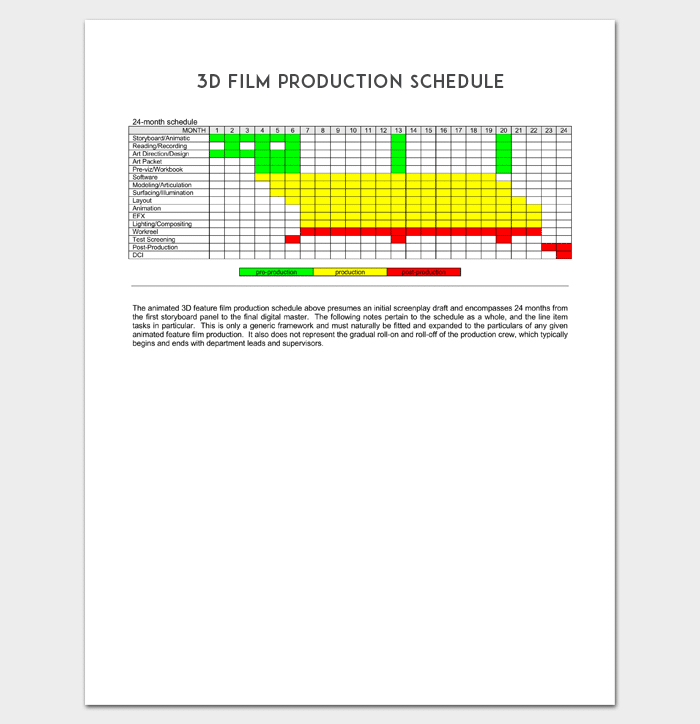 A production schedule for film details the actions that need to be implemented in order to produce a film from start to finish. Film productions often include pre-production concerns such as location scouting, costumes, set designing and casting. Post production schedules need to allow for editing, effects and even reshooting of scenes as required. Marketing and distribution arrangements are often included in production schedules for films depending on the scale of the film being produced. A production schedule template for video provides the framework for scheduling the tasks required to produce a video. A video production schedule needs to reflect the complexity of the video with each aspect of the production represented in the schedule. Working in shooting schedules with location availability and performer availability requires a workable production schedule. Pre and post production elements need to be included to create a complete and executable production schedule. 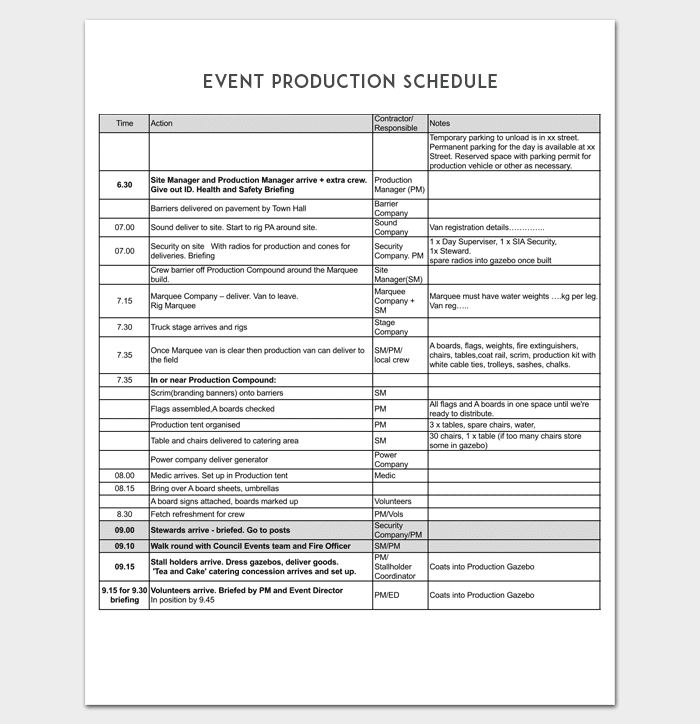 A schedule for event production details the tasks to be completed in order for the event to run smoothly. Completing a schedule during the event planning process is essential when looking at staff demands. A catered event can be chaotic without an event production schedule which outlines the food service times and locations. Getting everything ready for the day of the big event can be made much less stressful with a production schedule. A production schedule for TV collects and arranges the tasks and requirements of a television production for reference during the planning and execution process. A production schedule is essential for a television production as there are so many variables to consider. Television production often needs to adhere to deadlines making a workable schedule essential. TV production schedules may need to be viewed by multiple audiences and need to be clearly formatted. 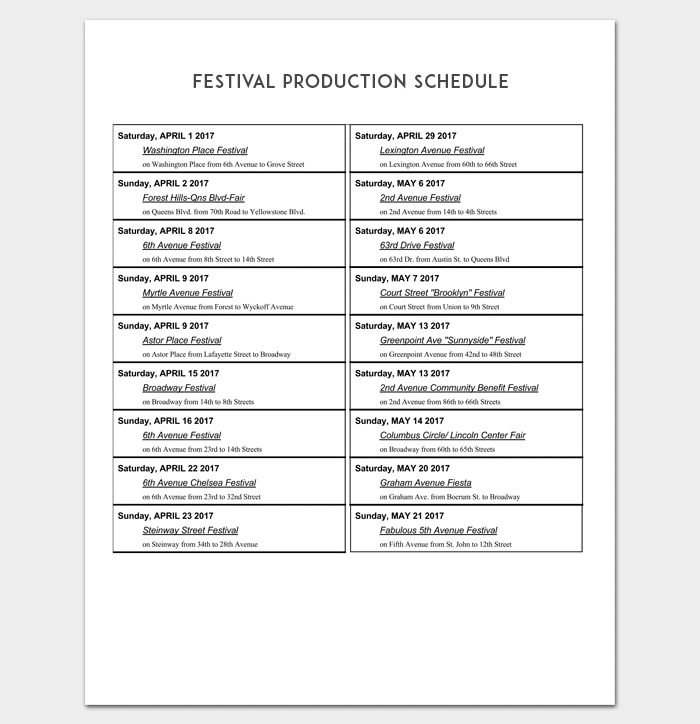 A production schedule for festival organization outlines a timeline of tasks to be undertaken as part of preparing for and hosting a festival. Regardless of the size of the festival a clear production schedule is useful for organizers when allocating resources. Volunteers and performers will need to know exactly where they need to be and when for a festival to run smoothly and a production schedule can give much-needed guidance. Festival production schedules make sure that a festival will be ready for attendees when the gates open. A production schedule for manufacturing details the rate at which tasks for goods production need to be fulfilled. A schedule for production may need to be referenced by multiple parties and needs to be presented accurately and professionally. Manufacturing schedules often need to be altered according to variables and a schedule should be easy to edit. Manufacturing schedules need to allow for staffing demands and the duration of tasks in order to make the schedule workable. 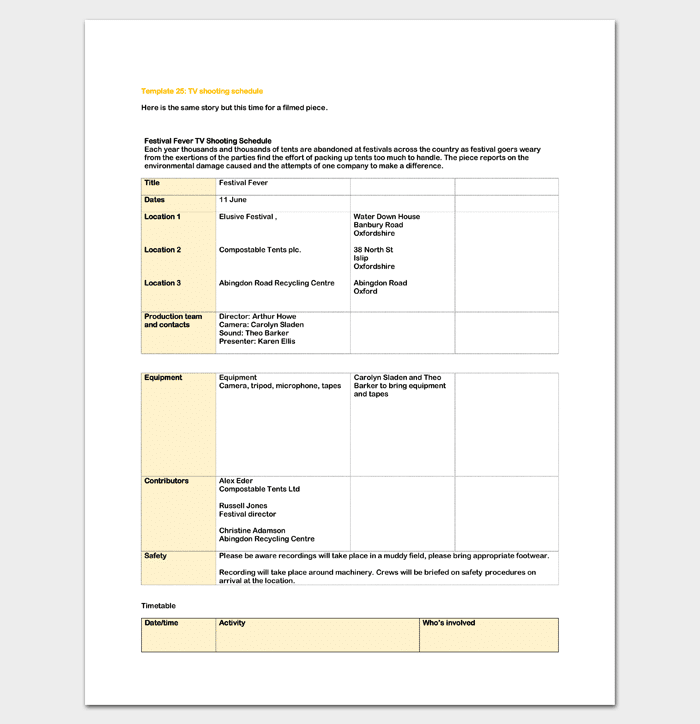 A schedule template allows you to harness the organizational power of a well-crafted schedule without having to be an administration expert or spending hours developing your own format. Rather than making do with an inferior document, using a template allows you to harness tried and tested layouts for the purposes of your production.